Local paper and gift shop, Oliver’s Twist will operate a pop-up shop in Carmel City Center’s beauty+grace while their new location is under construction in the Baldwin & Chambers building. 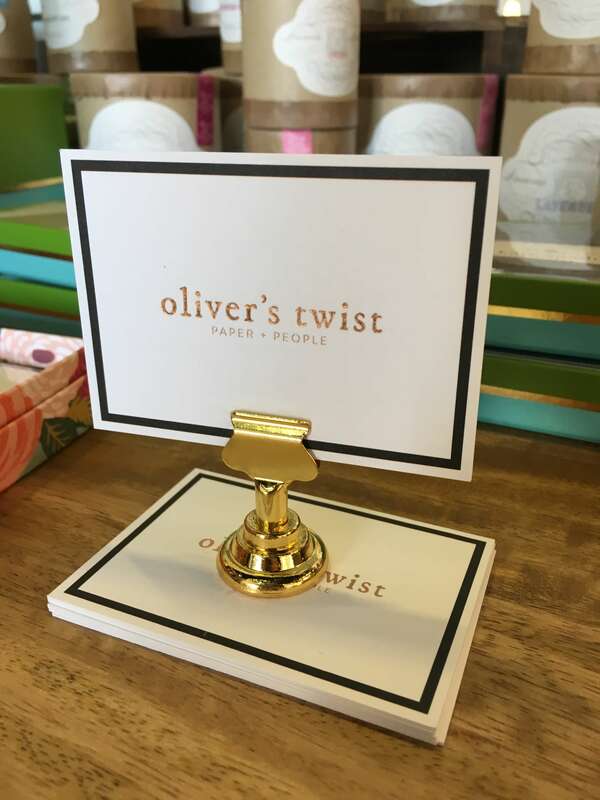 Customers can enjoy a wide selection of paper goods and gifts from Oliver’s Twist while shopping for the latest in women’s fashion and accessories from beauty+grace. Located on the interior plaza of Carmel City Center, beauty+grace is just steps away from the new Baldwin & Chambers building where Oliver’s Twist will open their doors this summer. During the pop-up shop, Oliver’s Twist and beauty+grace will partner together for special in-store events featuring Mom’s Night Out, VIP Nights and more. Oliver’s Twist owner, Kristyn Davidson, will be meeting with current clients and welcoming new customers to shop the selection of greeting cards, boxed stationery, Linnea’s Lights and journals. Also, during the pop-up shop, all items on the Oliver’s Twist website will be free shipping or available for in-store pick up at beauty+grace. Customers can visit the shop Monday through Thursday from 10 a.m. to 5 p.m. and Friday and Saturday from 10 a.m. to 3 p.m.
Beauty+grace is located at 751 Hanover Place on the interior plaza level of Carmel City Center. Surface parking is available on plaza level (accessible from City Center Drive), in the underground garage (accessible from Range Line Road as well as City Center Drive) and in the Veterans Way garage.